I love September. Firstly, it’s my birthday month. 🙂 But secondly, September is a gorgeous time of year in Massachusetts. Maybe that explains why this month was a balance of indoor activities (the new WIP, reorganization / decluttering projects) and outdoor fun. There were a couple lows (ongoing anxiety, plus a dishwasher leak), but in short September was joyful and productive, with much to be thankful for. In fact, it was such a good month, I had such a hard time narrowing down my list of joys for this Happy post. But that’s not such a bad thing, right? In the end, I settled on five that best represent the sights, sounds, tastes, and experiences that made my heart sing. And as always, feel free to share your joys of the past month in your comments! Chronicling The Craft is a series where I share my experience with working on my YA fantasy novel THE KEEPER’S CURSE, which is now in its third draft. These articles alternate between a) progress updates and fun “TKC-related” content, and b) revising / editing tips. Today marks 40% completion of Draft #3, with a new progress report and more songs from TKC’s novel playlist. I’m going to try my hardest to not start this post like a ping-pong ball bouncing off the walls… Oh, forget it, I’ll do it anyway. I’ve already reached my word-cutting goal for Draft #3!!!!!! To be honest, aiming to get The Keeper’s Curse under 105K was a conservative goal. I was aware of that going into Draft #3 – but I also underestimated how much editing the manuscript needed. The longer, overwritten chapters have benefited from the most trimming, but even some of the shorter chapters are 200 or 300 words slimmer now. So, what happens now that I’ve already reached my word-cutting goal for this draft? And what playlist goodies do I have to share today? Hop in and find out! If you follow me on Twitter, you might have noticed my #WIPjoy Tweets during the month of June. This meme is a month-long challenge led by YA sci-fi and fantasy writer Bethany A. Jennings; and for every day of the month, writers answer a specific question and share bits about their current work-in-progress (WIP). Participants can also take the meme to Facebook, their blog, and other social media outlets they haunt use. The “index” image for #WIPjoy June 2016, courtesy of Bethany A. Jennings. Click to view a larger version. This was my first time participating in #WIPjoy, and it was a lot of fun! It especially gave me a chance to learn what other writers are working on, get a taste of their writing style, and cheer them on as they work on their drafts. Now I’m even more excited to read some of those stories when they’re published someday! And what I did I share for #WIPjoy? The Keeper’s Curse, of course! (It IS my only WIP at the moment. *lol*) So, I thought I’d share a collection of my #WIPjoy Tweets here with you. This post doesn’t contain all of my Tweets from the challenge – but it does feature some of my favorite questions / answers, and several of the excerpts I shared. Feel free to share any feedback in your comments, or “like” or “retweet” any of the linked Tweets. 😉 Enjoy! Boy did I have to wrack my brain to figure out how I felt about this album. And anyone who knows my taste in music well enough knows that Within Temptation has been one of my favorite bands for nearly a decade. So, naturally, I was excited for the Dutch symphonic metal band’s sixth studio album, Hydra. This is WT’s most sprawling set to date, with songs that draw from every possible corner of their sound. Thunderously heavy, dreamy and pop-tinged, bombastic and cinematic, airy and melancholy – you truly get it all here. 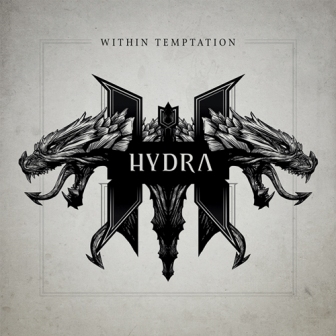 Hydra also features four guest vocalists with equally unique sounds: metalcore titan Howard Jones (ex-Killswitch Engage), soprano star Tarja Turunen (ex-Nightwish, now solo), Soul Asylum frontman David Pirner, and – bet you didn’t see this coming – rapper Xhibit. The overall opinions on Hydra have been as varied as the sounds WT explores on Hydra: Some people love it, others don’t, and still others are torn by it. I’m in that third category – which has turned this from a normal CD-reviewing experience into hair-yanking agony. Truthfully, I enjoy a number of songs from Hydra. “Dangerous” absolutely rocks, with palpable tension, stormy rhythms, and one of the most unexpectedly awesome vocal collaborations I’ve ever heard. Other dramatic uptempo numbers (“Tell Me Why,” “Silver Moonlight”) whisk you away to metal fantasyland, while the strongest ballads (particularly “Edge Of The World”) envelop you with evocative melodies and arrangements. Some tracks also hearken back to older WT records; “Covered By Roses,” for example, would have fit The Heart Of Everything as well as Hydra. Then then are songs that either I’ve remained indifferent toward after several listens or that fall short of WT’s usual high standards of lyrics (“Dog Days,” particularly the chorus) and overall impact (“Let Us Burn” lacks that special “kick-off” spark). Finally, four is an annoying high number of guest collaborations on a rock or metal albums. It’s nice to see and hear WT in that kind of spirit, but it’s overkill. They’re who I really want to listen to when I play a WT album. My best advice when it comes to Hydra is to listen with an open mind. You might love everything you hear, or you might not. Or you might seesaw back and forth, like I did. And you’ll find this rift in opinions in the reviews you’ll read on Hydra on Amazon as well as webzine and print reviews. Personally, I like Hydra, but it’s inconsistent. I skip over a few tracks because they don’t appeal to me, and one or two others get little more than a shrug as my reaction. This doesn’t mean I’m jumping off the WT bandwagon. It just means this album leaves me dissatisfied, and it’s hard to hide it when one of your all-time favorite artists leaves you feeling that way. Coming Soon: Next week’s Mini-Review Monday will feature another Dutch band: gothic symphonic metallers Kowai, and their debut album Dissonance. We’ve reached the end of the Sonic Cathedral Retrospective countdown! I’ve been listing my 20 favorite artists that I’ve covered in my five years of writing at the Sonic Cathedral WebZine. And today, it’s time to reveal the top five – including the artist I chose for #1!